MetroWest CARES, the Committee Addressing Resources for Eldercare Services, is coordinated by United Jewish Communities with support from the Healthcare Foundation of New Jersey; CARES brings together professionals and lay leaders from MetroWest agencies that provide services to older adults. This month’s article on summer trips is presented by JCC MetroWest which serves as a vital resource center for MetroWest Community residents from early childhood through older adults including those with special needs. Sharon Rogovin directs the Older Adult Programs at the Lautenberg Family JCC in Whippany. This winter was one of the worst in recent years. If you are like most, there were many days spent watching the snow fall, getting too used to the term “icy mix” on the weather reports. It was almost hard to imagine a day when you would be able to stroll the boardwalk at the Jersey shore at Pier Village in Long Branch, or feel the warm breeze on your face as you stand on deck of the Riverbelle, a paddle boat as it cruises down the Manasquan River. The thought of a trip to a museum, the theater or to meet friends for bridge without having to clear a layer of precipitation from the windshield became almost a fantasy. Summer in the mountains of the Poconos or the Berkshires seemed a world away. The snow shovels are packed away, the gloves and scarves are back in a jumble in the closet, and the woolens are stored in the attic. After a winter of horrendous weather — and more days of being housebound than we care to remember — we are looking towards summer and the warmer weather. Well, it’s time to get out of hibernation and take advantage of what the area has to offer. Your local JCC, synagogue, and community centers are flush with programs, day trips, and overnight travel experiences to satisfy almost every need for those over 60. A recipe for successful aging would include social stimulation, cognitive stimulation, physical stimulation, and a host of new experiences. All of these basic needs can be satisfied by participation in a group, membership in a club, or attending an outing or day trip. For many, following a change in living situation, such as a relocation or the loss of a loved one, the idea of traveling alone, even for the day, can be daunting. Group activities and trips are an ideal way to combat feelings of social isolation and promote increased interactions with peers, which is imperative as we age. One is never too old to make new friends or take part in new, enriching activities. 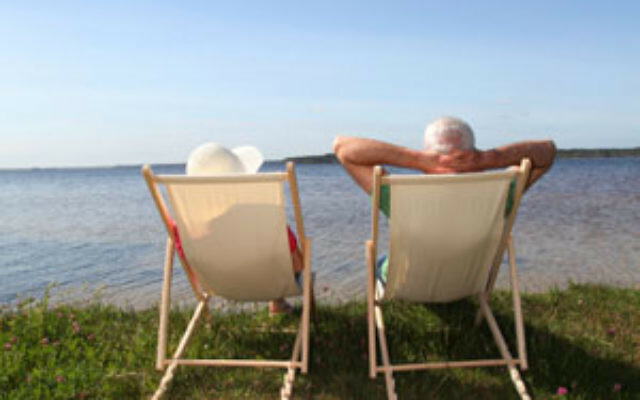 Programs geared toward seniors take away the worry of all of the details and the logistics of a particular destination, simply leaving you to enjoy social, recreational, and educational pursuits with peers, many sharing similar life experiences. Excursions vary from those that include transportation (such as a day trip to West Point), to more local attractions (such as opportunities at the Bickford Theater), to more ambitious overnight trips. Whether you are a museum maven, a theater junkie, a casino aficionado, or a traveler at heart, there is something for you and there are many community resources and agencies to assist those looking for both day and overnight excursions. Think outside the box and contact your local JCC, federation, community or town senior program, your local public library, or community-based programs such as Caldwell LIVE and Verona LIVE, to learn more about such events. For more information regarding some of the excursions mentioned above, including a July 7 Riverboat cruise and lunch at the shore, a day at Pier Village in Long Branch on June 15, and overnight travel to the Berkshires and Pennsylvania, this summer, contact Lenore Rattner at 973-929-2928 or lrattner@jccmetrowest.org. Locally, check out the Morris Museum which is free on Thursdays from 5 to 8 p.m., and also offers special activities for seniors on Senior Fridays at 1 p.m. Free with museum admission, you are welcome to visit the Morris Museum for an early afternoon of art and conversation with museum staff. Each program will include a highlights tour through a featured exhibition, engaging discussion in the galleries and light refreshments. In Essex County, the Montclair Art Museum offers free admission the first Friday of the month. 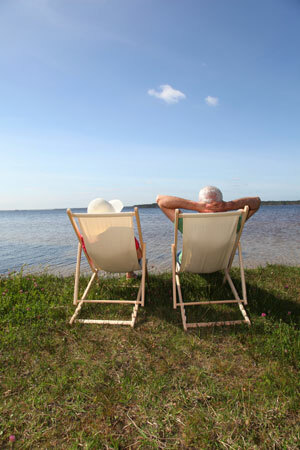 For folks seeking a summer getaway, many options are available through Road Scholar (formerly Elderhostel) with information at www.roadscholar.org. Details on NJY Camp’s Kislak Travel Program, which includes trips to domestic destinations and the Adult Vacation Center in Pennsylvania, is at www.njycamps.org/adults. The Senior Adult program within the Isabella Freedman Jewish Retreat Center in Falls Village, Conn., has on-line information at www.isabellafreedman.org. Whether you stay close to home or go with a group, summer is a great time to explore new horizons. Get out and enjoy!